Science advances by leaps and bounds rather than linearly in time. I t is not uncommon for a new concept or approach to generate a lot of initial interest, only to enter a quiet period of years or decades and then suddenly reemerge as the focus of new exciting investigations. 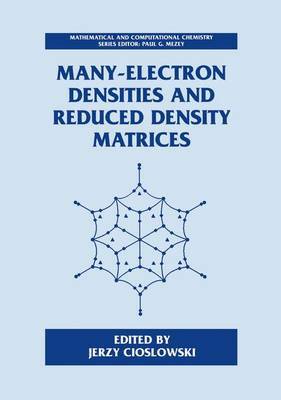 This is certainly the case of the reduced density matrices (a k a N-matrices or RDMs), whose promise of a great simplification of quantum-chemical approaches faded away when the prospects of formulating the auxil- iary yet essential N-representability conditions turned quite bleak. How- ever, even during the period that followed this initial disappointment, the 2-matrices and their one-particle counterparts have been ubiquitous in the formalisms of modern electronic structure theory, entering the correlated-level expressions for the first-order response properties, giv- ing rise to natural spinorbitals employed in the configuration interaction method and in rigorous analysis of electronic wavefunctions, and al- lowing direct calculations of ionization potentials through the extended Koopmans'theorem. The recent research of Nakatsuji, Valdemoro, and Mazziotti her- alds a renaissance of the concept of RDlvls that promotes them from the role of interpretive tools and auxiliary quantities to that of central variables of new electron correlation formalisms. Thanks to the economy of information offered by RDMs, these formalisms surpass the conven- tional approaches in conciseness and elegance of formulation. As such, they hold the promise of opening an entirely new chapter of quantum chemistry.